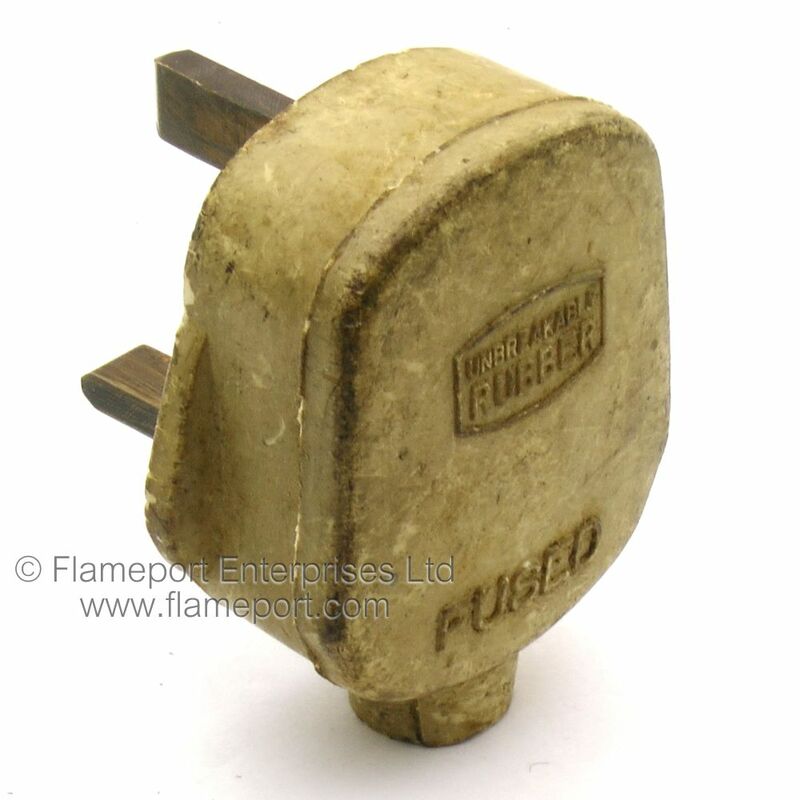 This plug might have been white at some point in the distant past. This ghastly item has no manufacturer or brand, but is covered in decades of dirt. The lid states UNBREAKABLE RUBBER and FUSED. Originally this item may have been white. Inside, the flex grip is a red bar secured with two screws. 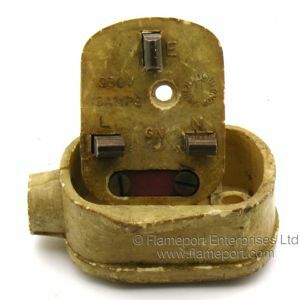 A 13A fuse is fitted. 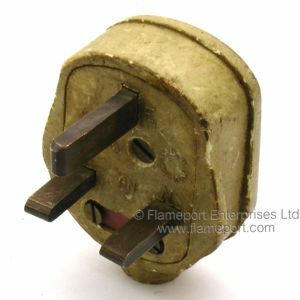 Terminals are identified by colour - BLUE, BROWN, GREEN/YELLOW - making this plug relatively recent, as those colours were introduced in the 1970s. The flex hole in the lid has been ruthlessly slashed with a knife, where someone obviously wired the plug before passing the flex through the lid. Underneath the dirt, the pins are unsleeved and solid brass. 250V, 13 AMPs. 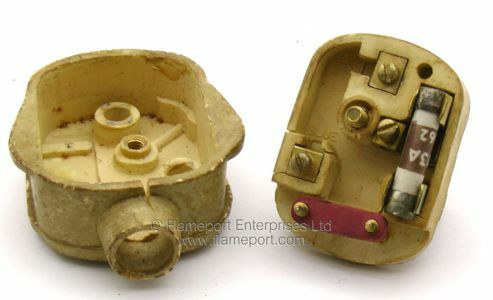 Made in Hong Kong, pins identified E L N and the only other text is 'GN'. A chip on the front end of the lid reveals the original colour of this item.